Its quite interesting to read about barefooting along with badminton. 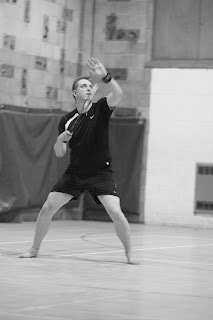 Although I do not generally barefoot unless I am around the house, I do enjoy the game of badminton very much. I can see both advantages and disadvantages to the grip improvement. This did however make for an interesting read :). Thanks for this post! I've been playing badminton with friends for fun the past year now, and I am a real rookie. I did however start plaing from day 1 in my FiveFingers KSO. I didn't have any other indoor shoes at the time and I have been using them together with my new balance minimus trek while running so I like the light feel on my feet. Sadly my KSO are now starting to break down, so I went in search for information on what I should get instead which lead me here. I never even considered playing badminton fully bare feet, which is something I might want to try. I've always had problems with weak ankles, but never had a problem while wearing my five fingers. Which FiveFingers were you using while playing? Bikila? Been wondering which ones I should get for indoor sporting, Komodosport seems popular for that. I don't play badminton, but I do indoor circuit training in a sports hall and always train in bare feet. Personally, I like the sensation of it and I get a good "connection" with the floor as I can use my feet to feel which improves balance. At least, that how it seems. Yes- I get some funny looks- but the instructor lets me me train like this. 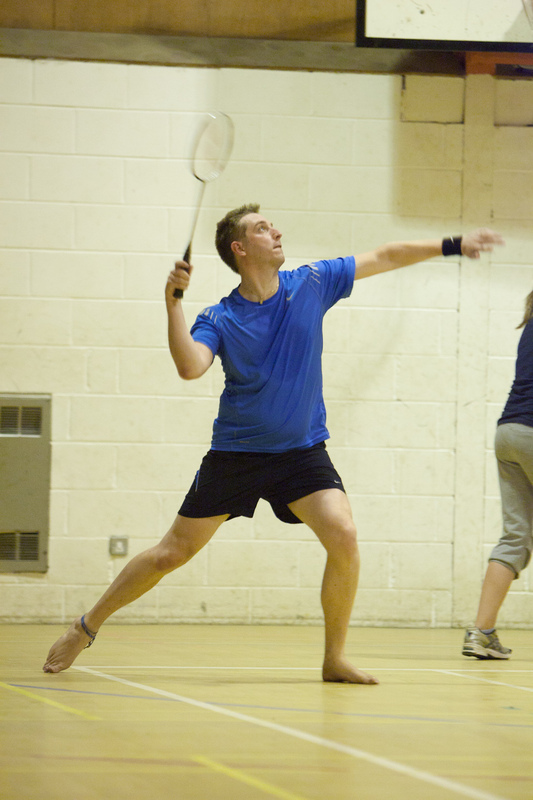 I would also do squash and badminton without shoes if i was playing. Unfortunately, some sports centres dont let you train like this which is a shame. I have FiveFigers but they do not give the the same sensation as bare skin. I have been playing Badminton for 40 years and I just start playing with barefoot shoes in 2019. All I can say is great. 8 years ago I broke my right ankle twice from twisting in the court and I realized that my Yonex badminton shoes were so high from the ground. I also remember that when I was a kid I spent lot of time working on my footwork training in the living room without shoes and had no injury. Now I'm wearing Vivobarefoot Motus II and I can move as good as I did in my old badminton shoes but without fear of twisting my ankle. Back in 2018 I started jogging in minimalist shoes (Altra vanish) with 15mm stack high (I also took the insole out made it very thin). first 2 weeks I had some soreness on my feet but after that I felt that my feet get stronger. Often I almost twist my ankle but as my feet close to the ground I always just almost happened. shoes. They just simple take away our brain and our ability to adapt for the impact out of the equation. Why we have to lie our brain that every time we land on the ground is soft. 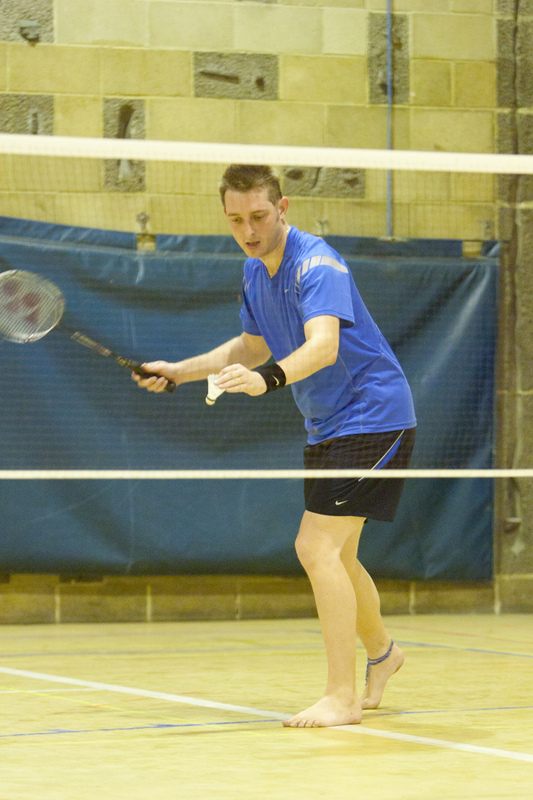 After I play Badminton in my barefoot shoes I can see that my footwork changes a bit. I also land softer and I can move my feet quicker. There will be small pain after 3 hours playing but after a good night sleep, the next morning my feet will be back to normal. Now I can only wear barefoot or minimalist shoes for every activity in my life. I dumped all my expensive sneakers and other shoes with lot of support in the bin. I use to have pain in my right ankle after walking for a while now I think I can forget it for good. You don't need to believe me here. Just try it yourself coz only you can tell the different.